Thousands more mortgages are being sold by a mainstream bank to a vulture fund. US firm Cerberus is buying 5,200 mortgages from Ulster Bank, which have a face value of €1.4bn. The move is set to spark renewed controversy, with the bank being accused of outsourcing its problem loans. It comes just weeks after the controversial sale of thousands of Permanent TSB mortgages to another American vulture fund, Lone Star. Ulster Bank said half of the portfolio of non-performing loans was made up of residential mortgages with the rest buy-to-lets. It insisted the portfolio did not contain any performing loans. There are around 2,300 residential mortgages being sold, with the bank saying the average arrears on these is €61,000 per account. On average, the account holders have missed 49 payments. The bank said seven out of 10 of the home mortgage holders entered into arrears at least seven years ago. The average arrears on each investor mortgage is €32,000, Ulster Bank said. Banks have been selling so-called non-performing loans as they are under pressure from regulators to reduce their levels of mortgage defaults. But mortgage debt campaigners have called for a halt to the sales until promised legislation to have vulture funds regulated by the Central Bank is in place. The bill, which is being championed by Fianna Fáil’s Michael McGrath, is in its final stages in the Oireachtas. Banks have been accused of outsourcing the difficult job of dealing with those in deep arrears, with many of the properties expected to be repossessed. 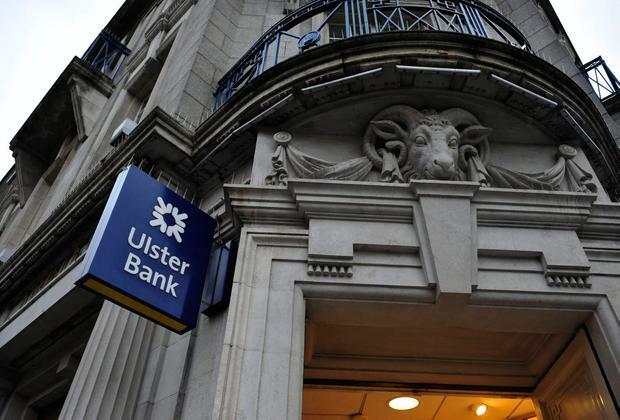 A bank spokesperson said: “Ulster Bank can now confirm that it has agreed terms for the sale of a portfolio of non-performing mortgages of €1.4bn, as announced for sale in May to a purchaser managed by affiliates of Cerberus Capital Management LP. The bank said it was giving affected customers 90 days’ notice of the sale, instead of the 60 it was required to provide. David Hall of the Irish Mortgages Holders’ Organisation said that over the past fortnight there has been an unprecedented scale of sales to vulture funds of family homes in arrears. “Many politicians, bankers and the Central Bank have been in denial as to the scale of those who can’t pay their mortgage, and they have stood by while banks demean ordinary hard-working families who, through no fault of their own, can’t pay their mortgage. “When banks got into trouble the State rushed to protect them. This has not applied to ordinary mortgage holders. They have been thrown to the wolves,” Mr Hall claimed. Mr McGrath accused Ulster Bank of outsourcing its dirty work to a US vulture fund. “What tools does Cerberus have at its disposal for dealing with these loans that Ulster Bank doesn’t have? “The bottom line here is the banks and the Government are simply washing their hands of the problem,” he said.